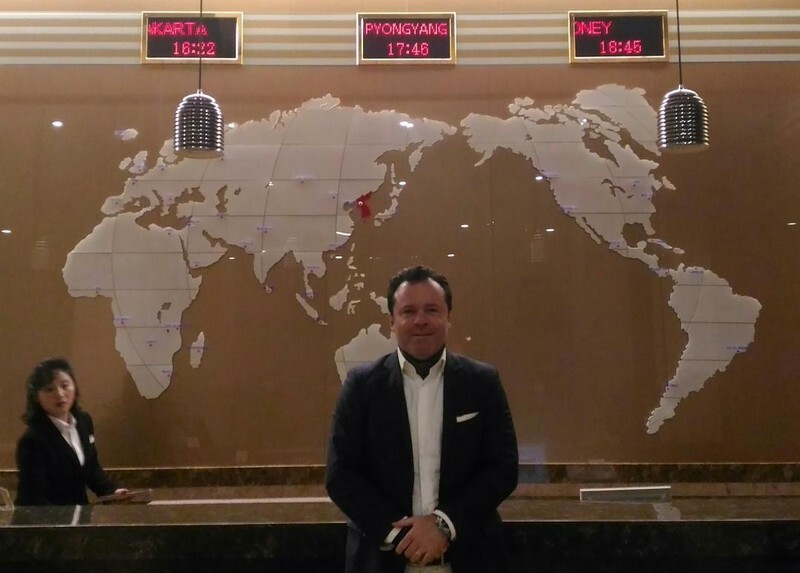 Photo: Kolja Spöri at the front desk of the Koryo Hotel, Pyongyang, North Korea. See more of his photos here. Joel Bowman: Thanks again for taking the time to talk with us, Kolja. I trust our readers have found your insights fascinating. Kolja Spöri: You’re certainly welcome, Joel. What else did you see that you weren’t at all expecting? KS: Certainly there were other issues that caught me by surprise. I didn't know that there is an 8 to 10 meter high wall all along the 38th parallel. It’s only visible from the North, I saw it myself, but it’s covered with a slope of grass from the South. Guess who built the Korean Wall? The West. Few people know that even the Berlin Wall was provoked by the West, in a psy-op by U.S. Officer Tenenbaum called operation Bird Dog, although physically the German Wall was built by the Soviets. The other issue that I was unaware of, before doing research for my Korea trip, was that there have been several people fleeing over the Panmunjom Border Zone ... to the North! Who would have thought? These were actually U.S. American defectors, and there was even a British documentary movie about them, called "Crossing the Line". Who would have thought that Google-CEO Eric Schmidt would visit North Korea several times? Who knows that both ex-Presidents Carter and Clinton flew to Pyongyang to get U.S. American spies back in a private jet? By the way, none of this information was given to me by my local guides, or the North Korean side, but everyone can easily research it on the web, just as I did. The hard fact is: South Korea is an occupied country. And the North would love the reunification, just as much as the South, but it is still blocked by the West. When the Koreans will finally be allowed to live together, I expect them to be attacked by the migration weapon, to divide them from the inside, just as is happening with the Germans today. Currently, Korea is the culturally most cohesive and healthy society in the world. JB: We often hear about the North Korean government warning its citizens about the impurities of the West: celebrity culture, mindless consumerism, greed and corruption, that kind of thing. Were you able to talk to any North Korean civilians while there? Did you happen to ask their opinions of the West? KS: While it was perfectly possible to speak very openly with our two tour guides, there was unfortunately not a lot of in depth communication allowed with other people. That said, I realized when speaking with our guides that they were well educated and they had a good sense of humor. They are not cold and brainwashed, as we are led to believe. In fact, they were quite open in their discussion. More than I had expected, for sure. We even talked about Western literature, like Nietzsche, and movies, like James Bond, which they certainly knew well. As I said earlier [Ed. Note: Click for Part I of this interview], I’m certainly not here to defend North Korea and its government. Rather, I simply want to use the case of North Korea to shine a light on what’s also going on in our own backyard. What people in the West often forget is that we have censorship and media control too. Of course, I know that other readers of International Man will have similar antennas for what's going wrong here, that they aren’t swallowing the Western narrative either. They’ll recognize, for instance, that in the West we are sinking deeper and deeper into cultural marxism. For the hoi polloi, this can lead to blind acceptance of things like the surveillance state, political correctness, thought control and the general “dumbing down”. These kinds of ideas are usually spoon fed to us with names like “tolerance,” “diversity,” “inclusion,” “sustainability” and “open borders,” among many others. I want to call those so-called “ideas” neurotoxins. As it happens, these particular neurotoxins don't exist in North Korea. They have others. JB: That’s a very interesting observation. And we know what they say about trends in motion; that they tend to stay in motion unless otherwise acted upon. On just that note, you traveled to North Korea right before Donald Trump and Kim Jong-un held their historic summit on the peninsula. What was your read on the situation? Were you watching that news at the time? Were you hopeful… skeptical… cynical? Perhaps none of the above? KS: I was actually in North Korea in January 2018. There were certainly some very high-tension days after the U.S. side erratically canceled the meeting. So, not only was it extremely cold in North Korea temperature-wise, but also politically. There were actually zero tourists there at the time. The U.S. had even bluntly forbidden Americans to travel there. I didn't know that the U.S. constitution allows for such travel restrictions. But to be honest, I don't watch the news much. I don't watch television or Hollywood anymore. I don't read newspapers. I’m fortunate to have built up a network of really reliable personal contacts all over the world. Colleagues, friends, people I trust. So I go directly to them when I want to know the real story in this place or that. And I pay attention to certain alternative media outlets, too, where I know the authors personally. Frankly, I don't give a damn if people announce things through the official media channels. KS: [Laughs] Yes. That's a good quote. You really need to see things for yourself to understand the way the world works. I was 35 years old before I began to realize what was wrong, and I started to unlearn all the Western brainwashing and the propaganda. It is a hard process that I've gone through now for at least 15 years. And there are still new truths to uncover, for sure. Undoubtedly, my main teacher along the way was Travel. I've been to every crisis zone, every war zone, every danger zone in the world and I've seen the reality for myself. I've met many political players and top businessmen. I'll prefer the businessman any time. My motto is: Life is not a spectator sport. One should go out and see things with their own eyes, then come to their own conclusions. Then research who had the same thoughts before and you'll find a whole library of good thinkers, who existed long before the Internet, but who were – of course - never promoted by the mainstream system. JB: You mentioned earlier your travels behind the Iron Curtain to some of the Soviet States. How did that experience compare with what you saw in North Korea? KS: Well, it is certainly true that in communist countries people become robots in life. I remember this when I was in former East Germany and other eastern European countries. And that certainly seemed to be the case when I was traveling through the North Korean countryside. The people out there seem to have a very hard life, all working and no smiling. But in the capital, in Pyongyang, it's quite different. It's really a very vibrant capital city. There are tall, modern skyscrapers. And it's actually people who live in them. 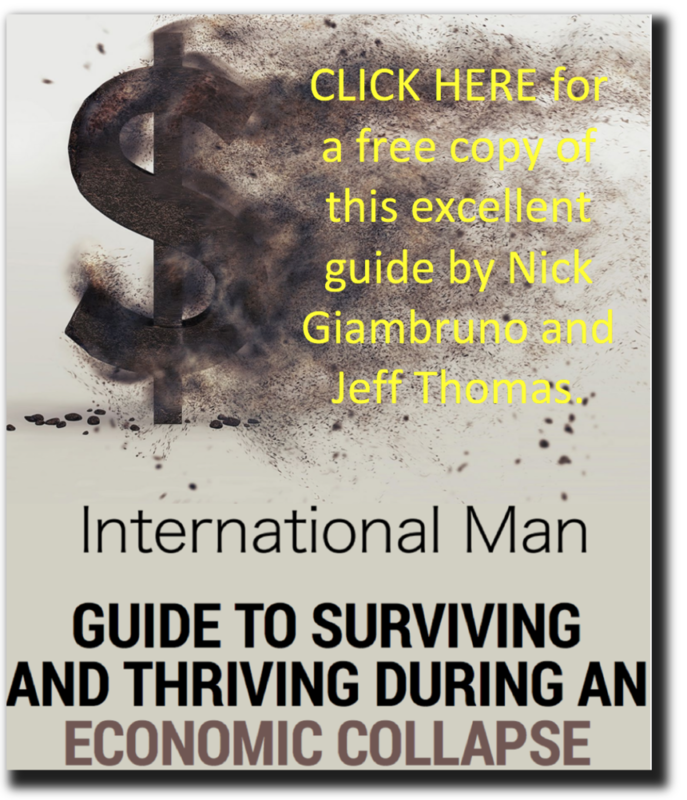 There are no banks inside or insurance companies, but engineers and scientists living in super modern skyscrapers. So there's a positive aspect there. As for that kind of robotic, automated Golem existence, I see this developing more and more in the West. In the West, everybody's living under this fake social pressure, participating in Facebook and all sorts of social pressure platforms, checking their smart phones all the time, unable to pay attention to the real life going on around them. This new meme of the non-playing characters (NPC) was great. Unthinking, robot-like people is very much a reality in the west. JB: The idea of the non-playing character (NPC), of people turning into unthinking robots, existing merely to work on programed tasks, is frightfully believable. I remember having once written something about the nature of the Orwellian dystopia, of being forbidden access to truth, being constantly propagandized, fed lies, drowning in that sea of doublespeak Orwellian lingo. Well, a very insightful reader made the observation that perhaps it was the Huxleyan dystopia that was worse…and, in many ways, closer to our present reality. He explained that, whereas in the Orwellian dystopia people were actively forbidden from doing certain things – reading certain materials, for example –residents of the Huxleyan dystopia wouldn’t even think about reading those same materials in the first place. The impulse to seek truth was simply sedated over time, or bred out of them entirely, so that the idea of a world outside their basic, workaday existence never even occurred to them. KS: I totally agree. I have observed in our Western system that this sort of mind control, which produces the epsilons to which you just referred, is actually a step-by-step process. Like the frog in water where the temperature rises gradually over time, so he doesn't jump out immediately. He doesn’t recognize he’s being boiled… until it’s too late. This same step-by-step process is certainly part of the Fabian Society’s plans. Fabius Maximus was the great Roman general who believed in doing things step-by-step, methodically, slowly. He was called the great cunctator. The hesitator or procrastinator. Grinding the opposition down bit by bit. That’s exactly what the socialist gradualists are doing now. Two steps ahead. One step back. The current commissar-in-chief of the EU-SSR Jean-Claude Juncker even admitted this strategy publicly. I’ll give you an example. Think about how the State treats individuals when they exercise their freedom of movement, their natural right to travel. Anyone who’s been to Heathrow Airport knows that it’s one of the most dystopian airports in the world. There is so much nonsense announced over loudspeakers at any given time. Similar to the North Korean countryside by the way. It doesn't even matter what they say anymore, it's just important that there's a speaker above, with nobody visible, and that people are told to do things by an authority they can’t see. Even the architecture of “the facility” is cold and dystopian. The wet dreams of Orwell and Huxley came to life, frozen in ice. So especially when people travel, they are actually being trained to be the ultimate sheep. I don't think about this like a coincidence theorist would. This kind of environment is the perfect training ground where, under the pretext of freedom and travel, the sheep are being programmed to accept and obey. And it’s happening right now… one step at a time, one lost freedom, one surrendered liberty, one destroyed privacy, one exposed intimacy. KS: Exactly. The whole world is put upside down. JB: Thank you so much for your time, Kolja. It’s been a real pleasure speaking with you. KS: Likewise, Joel. Thank you, too.